Know the Whopper®? Meet its twin. 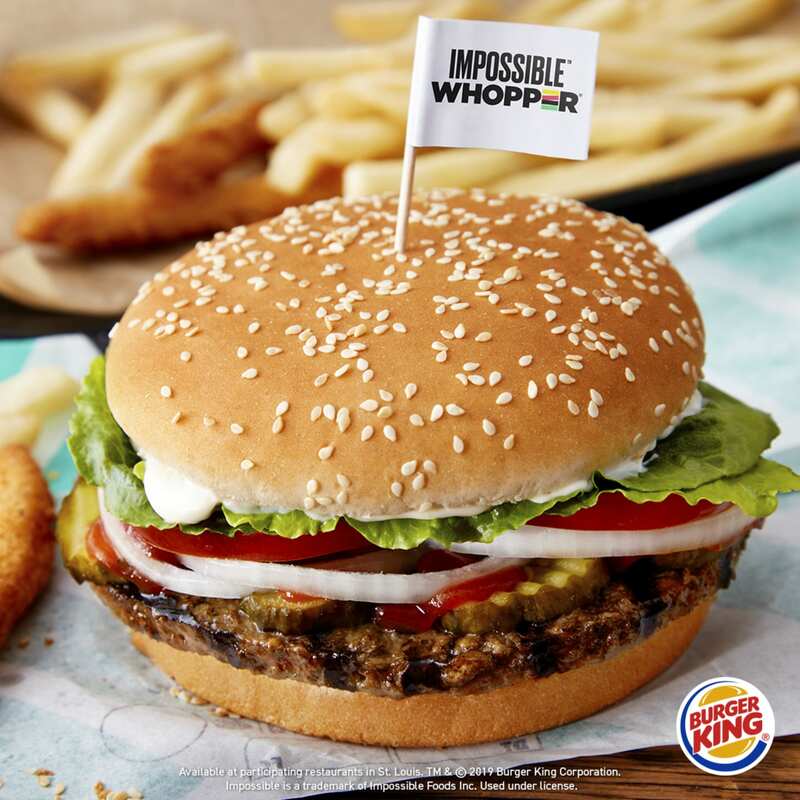 The Impossible™ Whopper® is just like the classic Whopper®, but made with an Impossible™ patty. What's in the patty? Mostly soy protein, potato protein, coconut oil, sunflower oil, and heme. Scroll down to find it at select locations! Currently only available in St. Louis, Missouri! Plan a trip. Bring a friend. The Impossible™ Whopper® isn’t everywhere (yet). Want to bring the Impossible™ to your local Burger King™? Grab a sandwich and sign your name. We'll let you know if and when it happens. You have questions? We have answers. Reach out to hello@impossiblefoods.com - we’re here to help.